Author Interview: Deborah Hopkinson by Megan Smith from ALSC Blog. 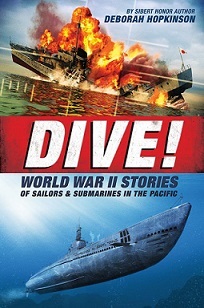 Peek: "There were many stories I could have told of other sailors and submarines, but I feel the ones featured help convey what it was like for the young men who went to war in the Silent Service." Looking for a job in children's-YA literature? Paper Lantern is hiring a full time marketing assistant in New York City and The Horn Book is hiring a full time assistant/associate editor in Boston. Picture This Diversity Inforgraphic: Follow Up from Sarah Park. Peek: "Since September 14, the blog post has had over 36,000 views; my initial tweet made over 17,000 impressions; my Facebook post was shared over 10,000 times..." See also A Joyful Diversity Collection by Elizabeth Bluemle from Publishers Weekly. Missing From the Shelves: Book Challenges and a Lack of Diversity in Children's Literature, a dedicated issue from PEN America. Peek: "...an examination of current patterns of challenges to children’s books reveals that a large portion relate to children’s and young adult books that are either authored by or are about people of color, LGBTQ people, and/or disabled people (referred to in this report as 'diverse books')..." See also School Library Journal on Self-Censorship. Magazine Credits & Book Submissions? by Deborah Halverson from Dear Editor. Peek: "If you’re a debut novelist, you can stand to cite evidence of your chops and professionalism." 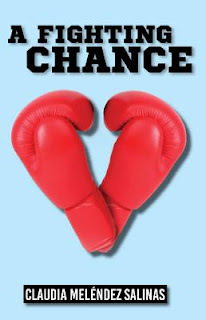 10 Tips for Writing Through Family Stress by Barbara Claypole White from Writer Unboxed. Peek: "Control your social media. Don't let it control you." 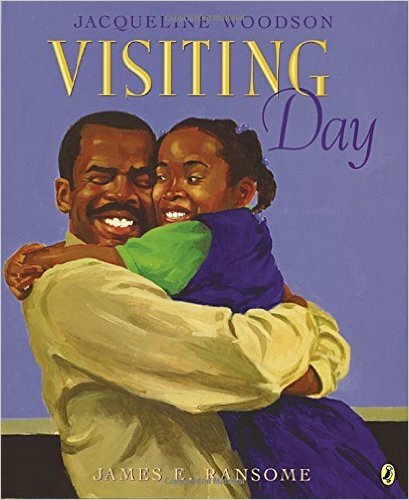 Children & Young Adult Books Featuring a Child with an Incarcerated Parent: a bibliography compiled by Mitali Perkins from Mitali's Fire Escape. 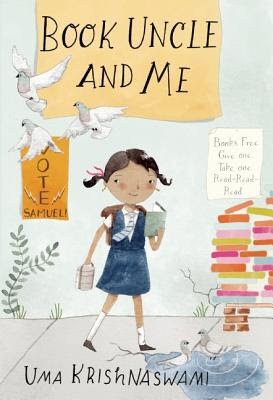 The Sibling Reality: When Picture Books Stop Being Nice and Start Getting Real by Elizabeth Bird from A Fuse #8 Production at School Library Journal. 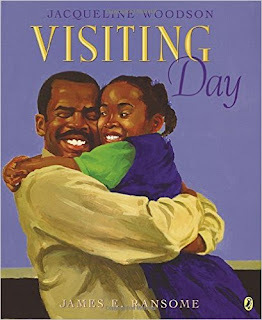 Peek: "...picture books that pick apart the nature of sibling relationships in interesting ways. I don’t mean fighting. I mean that crazy pushmepullyou of loving each other to the extreme mixed with scream-at-the-top-of-your-lungs annoyance." How I Got Into Publishing: Luana Horry, Editorial Assistant at HarperCollins Children's Books from CBC Diversity. 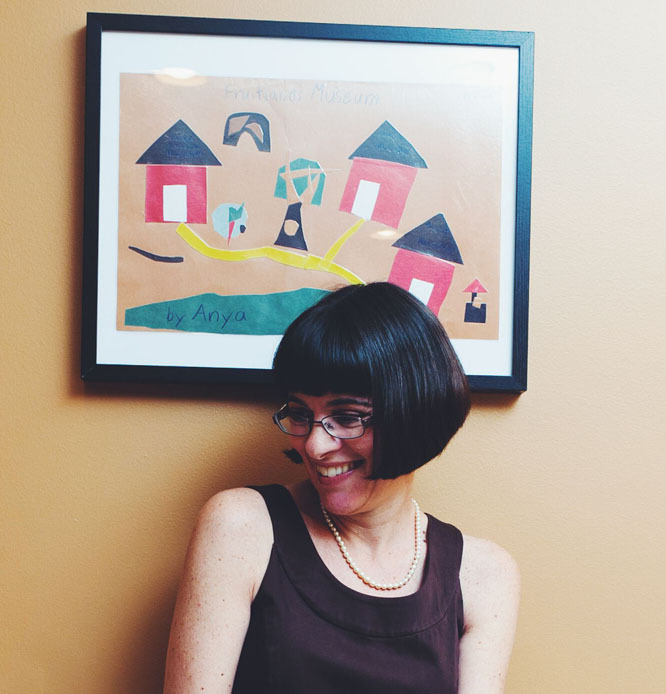 Peek: "It felt important to me to build a career in an industry where I could make a difference in the lives of children like my niece, who deserve better than a peripheral reading and cultural experience." Become a Story Genius: How Your Character’s Misbelief Drives The Plot by Lisa Cron from Writers Helping Writers. Peek: "What readers are wired to come for is insight into what people do when push comes to shove and, most importantly, why they do it. 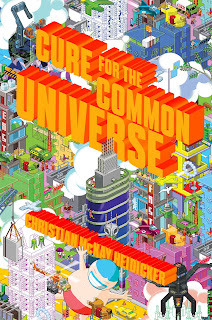 We’re looking for inside intel into human nature, the better to navigate this scary, beautiful world ourselves." The Cooling Off Period: Handling Manuscript Feedback Effectively by Mary Lindsey from QueryTracker.com. Peek: "After one-to-three days, I've had time to process the suggestions logically, rather than react emotionally." I've been blessed with insightful and sensitive editors at HarperChildren's and Candlewick as well as my rock-star agent at Curtis Brown Ltd. I personally know many wonderful editors and agents. They're out there. They want to connect with a diversity of great writers, make terrific books, and help grow careers. Keep revising and submitting! The Powerful Role of Coach in the Latinx Community by Claudia Meléndez Salinas from Latinxs in Kidlit. Peek: "They’re not just coaches: they’re role models, mentors, friends. They’re the glue of after-school programs, the difference between wholesome entertainment and life in the streets." Interview with Zetta Elliott from Rich in Color. Peek: "I don’t think about book sales that much; I want the books to exist and to be available to those who are looking for mirrors (see below). I’m leading more workshops on indie/community-based publishing these days, and that makes me feel visible and valued because I’m showing other aspiring writers how to make their own books outside of the traditional system." Author Cori McCarthy Discusses Her Book Being Optioned by Beth Bacon from Digital Book World. Peek: "As someone with a screenwriting degree, I feel uniquely qualified to say to Sony, 'I think you should hire a screenwriter.'" Alert! A New Kind of Bigotry: One-Star Reviews on Goodreads by Lee Wind from SCBWI. 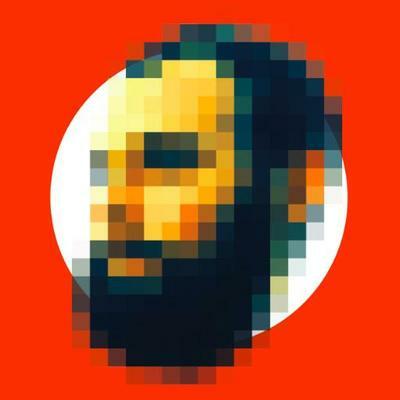 Peek: "The review copies aren't out yet. But suddenly the book's Goodreads account had more than 1,500 ratings of the book. The book that almost none of them, unless they were personal friends with the author, could have possibly read." Note: hateful online harassment, targeted at female children's-YA authors, especially those who're women of color, is becoming increasingly frequent. Not all of us go public with our stories. Please show kindness toward one another within our children's-YA literature community. Watch out for each other out there. Banned Books Week Roundtable: The Evolution of Censorship by Hannah Ehrlich from Lee & Low. Peek: "I try to balance writing about controversial issues by writing with young people’s best interest in mind. That is, I always try to approach these topics honestly, but also respectfully and responsibly." People keep asking how my new book is coming. I'm so honored by the enthusiasm! 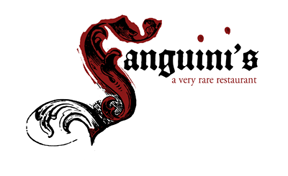 Let me assure you that a YA manuscript will be zinging through the Internet to Candlewick Press on Monday morning. I know, right? By the time a manuscript reaches submittable level, I've read it so many times that I tend to see what I meant to write, what makes the most sense, to the point that my mind's eye will fill in missing words. Also, hearing another writer read the text will alert me oddities of cadence or awkward language. What's more I benefit from hearing the reader's emotional reaction, word by word and page by page, over the course of the novel. I highly recommend doing this twice during the novel-writing process. Before initial submission and after revising informed by the editor's feedback, right before you turn in. What else? 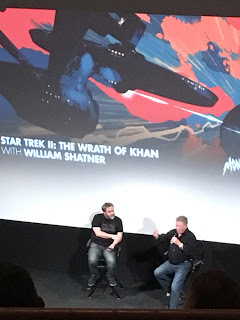 My other highlight of the week was a Q&A with William Shatner, followed by a showing of "Star Trek II: The Wrath of Khan" last Friday night at Austin's historic Paramount Theater. 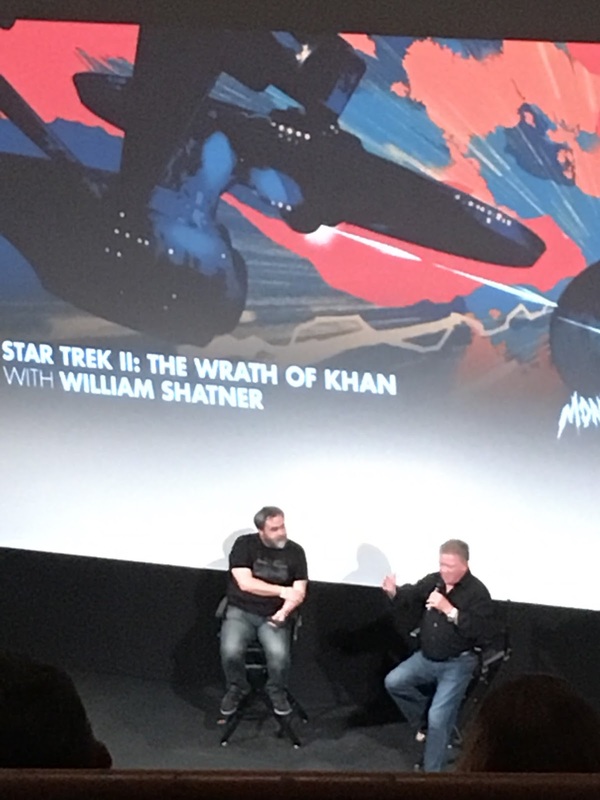 Mr. Shatner was engaging and funny. He spoke at length about his experiences working with and his admiration for Leonard Nimoy and Ricardo Montalban (and his pecs). He seemed a bit embarrassed by his early overacting on the small screen and explained it as a byproduct of his stage training. He'd been used to projecting to a live audience rather than for a camera that would magnify his every word, gesture and expression. Which makes total sense. He likewise felt the need to apologize in an affectionate way for the special effects of the film as compared to today's standards. But then he fully embraced the suggestion that the overall effect was "charming," that what the crew had been able to do, given the limits of the era was "inspiring." I strongly agree. 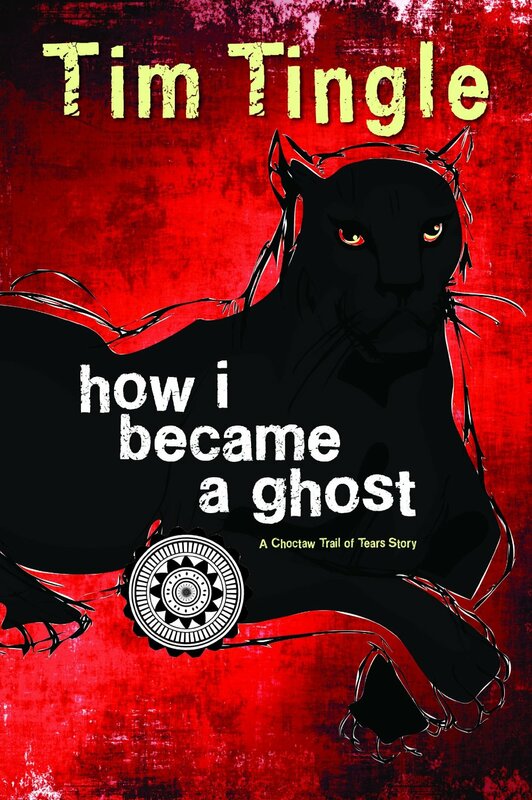 "Tim Tingle (he’s Choctaw) talks about visiting a school in Texas where he read from his outstanding book about the Trail of Tears, How I Became a Ghost. The teacher apologized to him, saying that she had to teach kids that Choctaws are extinct because that is the answer they’ll need on a test she has to give them." Tim and I are both Native authors, Texas authors. I greatly value him and his books. Please take a moment to visit Choctaw Nation.You'll find a great people with a past, a present and a future. Sixteen-year-old Jaxon is being committed to video game rehab...ten minutes after he met a girl. A living, breathing girl named Serena, who not only laughed at his jokes but actually kinda sorta seemed excited when she agreed to go out with him. This all began when I told my agent, John Cusick, that I’d write a YA book about a kid committed to video game rehab. His excitement was infectious, and I got that fluttery feeling of embarking on a new adventure. Of darkness unlit. Of stones unturned. Of all the little surprises that come with blindly slashing out with my pen and hoping for the bloody best. That fluttery feeling vanished when I realized I hadn’t played video games for years, let alone had any clue what it was like to be addicted to them. In order to survive as a freelance writer, my entire life had become carefully structured to eliminate time-wasters. I worked all possible hours, filled my downtime with reading, exercising, eating healthily, and not buying expensive things like the next generation of PlayStation or Xbox. I had become completely unversed in the world of video games and unhealthy amounts of playing. Let’s face it. As novelists we’re all impostors. We don’t really remember what it’s like to have that first kiss. We’ve never reached to the back of the wardrobe and in place of fur felt pine needles. Our goal is to seem the least impostery as possible. To convince the reader that this stuff is legit. Forget healthy eating and gluten intolerance. Forget that coffee turns me into an absolute monster and dairy turns my insides into the Bog of Eternal Stench! I bought myself a month and turned my life into that of a sixteen-year-old video game addict on summer vacation. I drank coffee from noon (when I woke up) until three in the morning when I went to sleep. (My character drinks energy drinks, but one can only go so far, dear reader.) I slept too much. I didn’t exercise. Sometimes I put whiskey in my morning coffee. I only read gaming news, but only if I really felt like it and only if I had to wait for a game to download. Mostly, I played video games. I played a lot of video games. I continued to play throughout the duration of writing the book, but in October 2012, I played so much it would have made the characters in my book quirk their eyebrows. I beat Dark Souls. I beat Sword & Sworcery. I played Starcraft and Hearthstone and Diablo III. I bought a Nintendo 3DS and played through all the Mario and Zelda games I’d missed out over all the years. (Definitely the highlight.) I got lost in world after world, and adulthood as I knew it became a faint haze around an ever-glowing screen. And guess what? It was hard. You’d think it would be easy doing as little as humanly possible, only filling one’s time with video games. Video games are fun. Many are designed to keep you falling into them again and again, to captivate you enough to stick around for hours on end. But I had so carefully trained myself to not be that way so I could write. I was disgusted with myself. I liked the games I was playing, but they didn’t bring the same satisfaction of selling a short story. Like I said, it was really hard. But it was nothing compared to what I was going to embark on next. I ended my month of terror with a bang. On Halloween night, at 11:56 p.m., I drank four shots of whiskey and became a vomiting sprinkler on my friends’ front lawn. (Apologies, Alan and Alan). My girlfriend at the time drove me home and poured me into bed. I slept for thirteen hours. . . and when I awoke late afternoon on Nov. 1, I began something new. I didn’t put on the coffee pot. I didn’t boot up the PlayStation to see if any system updates needed downloading. I didn’t bring the iPad to the bathroom. Instead, I entered Phase 2 of my research. The character in my book was going to rehab, where all creature comforts would be taken away from him. And so I spent the entirety of November without sugar, caffeine, music, phone, books*, internet*, or of course, video games. I called it my no-nothing November. And mostly, I wrote. I wrote about a kid who had all of his comforts taken away and was forced to earn points through a sort of gamified therapy. I don’t know if any of this actually worked or not . . . I’m not sure if it really added anything to the book. So, um, take that into consideration before flying off the rails for your own book. *I use the term "addicted" lightly. Read Cure for the Common Universe for a full explanation. **The most difficult, by far. ***I also didn’t surf the internet, save my email—for emergencies and so I wasn’t fired from my job. ****Ug, this is starting to sound like some sort of new age instruction manual, which I swear it is not; I just wanted to see what it would be like to be the character in my book. As a contemporary fiction writer, how did you deal with the pervasiveness of rapidly changing technologies? Did you worry about dating your manuscript? Did you worry about it seeming inauthentic if you didn't address these factors? Why or why not? Video games are the fastest growing medium in the world, so it’s pretty difficult to remain relevant when writing about current games. Fortunately, there’s a persistent spine in gaming (your Blizzards, your Nintendos, your Easter eggs). I tried to focus on those mainstays and accept the fact that no matter what I did I would probably piss off and please an equal number of gamers. If I had attempted to copy the language of gamers verbatim, I would have set myself up for failure. (Although having a game-addicted roommate during the edits of this book definitely helped me sprinkle in some legit jargon.) That’s why I like to follow the Joss Whedon rule of leading the charge on language instead of attempting to copy it. For the dialogue, I ended up stealing a lot of hilarious lines from my friends—truly iconic things that I lifted straight out of real-life conversations and put into the text. During a rousing game of racquetball, a friend aced me, stuck his racquet in my face, and screamed, “Nobody puts princess in a castle!” A barista once mentioned how stepping on a LEGO was a lot more rage inducing than playing Grand Theft Auto. And a previous student told me about a—ahem—particular sensory combination involving Nutella. I blushed . . . and then I stole it. I stole all of these with everyone’s permission, of course. I was fascinated that Qualey, a journalist for The Guardian and other outlets, takes such interest in children’s literature. She answered my questions for Cynsations by email. 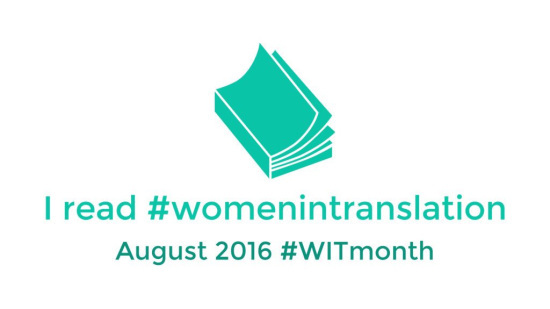 As a journalist, why have you made #WorldKidLit Month a special project? Many of the books I see promoted as “Middle Eastern literature” for children—indeed, almost all of them—are books written by Westerners and set in the region. Just so, we have floods of books by soldiers, aid workers, and journalists who spent some time in Iraq, for instance, and almost none by Iraqis. Writing about other places is valuable, yes, but it’s another thing entirely to listen to the stories—the cadences, the art, the beauty—coming from another language. I find it limiting and echoey to read the narrow band of “our own” Anglophone stories. We can offer our children much much more: more joy, and more ways of seeing. 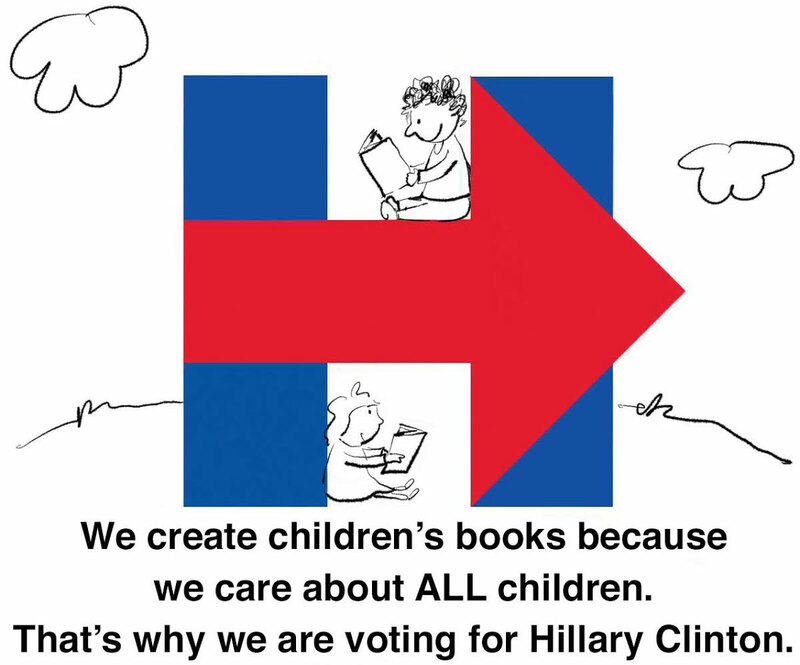 What would you like the children’s literature community to gain from this annual event? Just as with #WiTMonth (Women in Translation), I think it’s key to start with recognition—to recognize that we don’t translate much from around the world. We translate a bit from Western European languages, where publishers have connections, and that’s great. But the literature currently translated from the great Indian languages, from Chinese, from Turkish, from Farsi, from Eastern European languages, would fill a few small shelves. These literatures could give us so much! What was your own experience of literature as a child? Was your whole world represented in stories you read? The world outside was a mysterious and scary place, difficult and sometimes painful to understand. But the worlds as presented in my books were so tangible, they really belonged to me, they could be read and re-read. As for translations, I particularly loved folktales from around the world, and cherished not just Italo Calvino’s collection (which I read until it fell to bits), but Norwegian and Japanese and Arab and other folktales. The folktale is a wonderful global form where there has been much sharing from language to language, culture to culture. Have you translated any literature for children? Not in any serious or systematic way; just helping translate picture books for a friend. I would love to, but interest in Arabic kidlit has been vanishingly small. What currently available Arabic>English kidlit translations would you recommend? 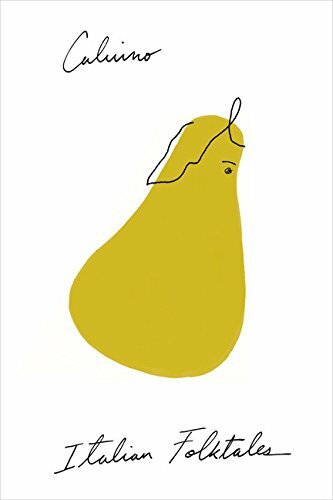 You can get a translation of pioneer illustrator Mohieddine Ellabad’s The Illustrator’s Notebook, and The Servant by Fatima Sharafeddine (Faten, in the original, translated by Fatima herself), and Code Name: Butterfly by Ahlam Bsharat, translated by Nancy Roberts. I would love you to read Walid Taher’s award-winning Al-Noqta al-Sooda’, but alas there is no translation! 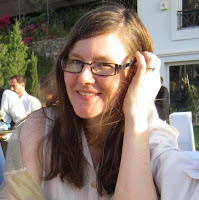 Marcia Lynx Qualey blogs at Arabic Literature in English. Avery Fischer Udagawa contributes to the SCBWI Japan Translation Group blog and is the SCBWI International Translator Coordinator. 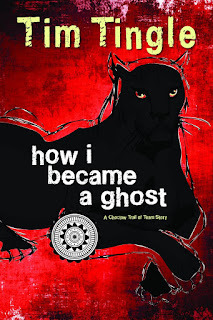 Today I'm honored to feature Monique Gray Smith, "a mixed heritage woman of Cree, Lakota, and Scottish descent" and the author one of my favorite new titles--my official go-to gift book for 2016. What put you on the path to writing for young readers? I never set out to write for young readers and to be honest, I never saw myself as a writer. 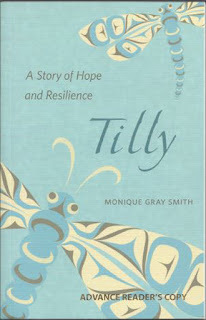 When Tilly: A Story of Hope and Resilience first came out, it was marketed to adults, but then it won the Canadian Burt Award for First Nations, Métis and Inuit Literature. 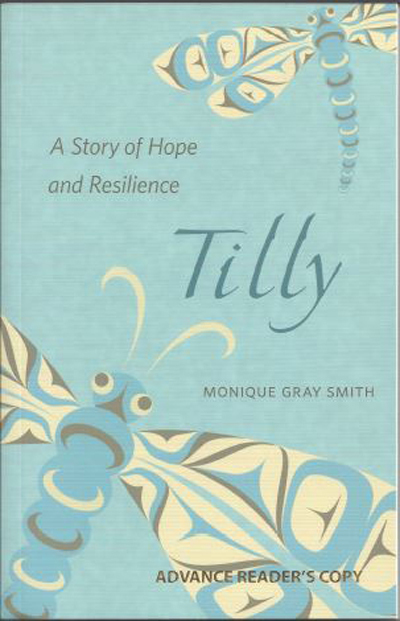 This award sends 2500 copies of the winning book to schools and programs across the country, and all of a sudden, Tilly was in the hands of young people, in schools, classrooms and friendship centres and it became a YA book. Congratulations on the release of one of my favorite new titles, My Heart Fills with Happiness, illustrated by Julie Flett (Orca, 2016)! What was your original inspiration for this title? Thank you for your kind words about My Heart Fills. Working with Julie was a true privilege. We spoke on many occasions about the message and illustrations; it was a beautiful collaboration. 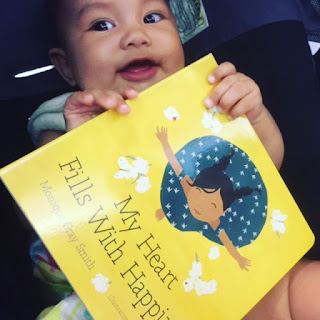 My Heart Fills with Happiness was inspired when I was facilitating a workshop on our history and resilience at an Aboriginal Head Start program. At lunch, the children joined us and I witnessed a Kookum (Grandma) sitting in her chair and her grandson came running over to her. He stood in front of her and she took his face in his hands and his whole body changed. His shoulders went back, his chin came up and his eyes lit up. What I saw was the way she looked at him with such love filled his heart with happiness. This got me thinking about what fills my heart and our hearts as human beings. A couple weeks later, I was visiting with five of my dear friends and as we were talking, the book came. Literally, in one quick write, it was done. Only one line has been changed. My next children's book, called You Hold Me Up has also been inspired by Aboriginal Head Start. This is such a powerful program in our country and now has been running across our country for over 20 years and has 50,000 graduates. Culture and Language as well as Family Involvement are two of the six components of this program and as a result it is a significant aspect to the healing of Residential Schools in Canada. What were the challenges between spark and publication, and what lessons were learned along the way? This book was a gift from the Ancestors, I know that with every fibre of my being, Cynthia. As I said above, there was only one line change and in the end there were three publishing companies that wanted to purchase it. There were some miscommunications with the design between myself and Orca Publishing and as a result I think we have both learned the importance of ensuring connection throughout the project. I know that this is a new way of relationships between author and publisher, but in these times of reconciliation, it is critical we work together instead of the publisher having all the power and decision making. Oh Julie! As I said above, it was a privilege to collaborate with Julie. 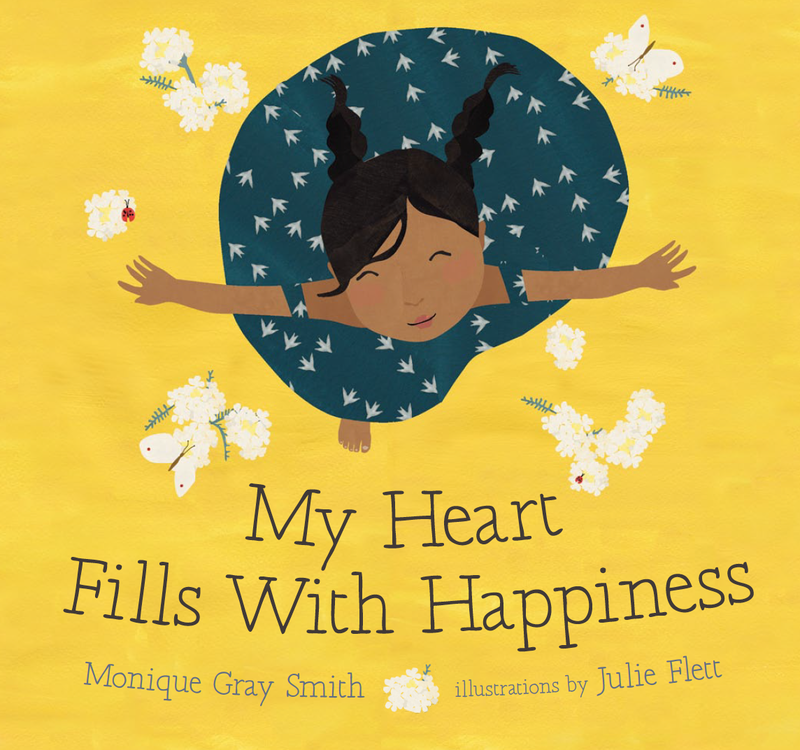 When Orca informed me it was going to be Julie Flett illustrating My Heart Fills with Happiness I literally did a happy dance in my office. Not only do I admire Julie's contribution to literature; both as an author and illustrator, but I also have profound respect for her as a human being. I think Julie's illustrations bring the words alive. The way she was able to capture the tender nuances on facial expressions and body postures is precious! And the cover, I have had numerous girls say to me, "look, that's me on the cover." I think that says it all! When a child sees themselves on the pages it is incredibly affirming for them and in some ways, their right to be seen. We all need to be seen and heard, but for generations literature has not only not seen us as Indigenous people, but especially not Indigenous women and girls. Let me simply say, Julie's illustrations make this book what it is! 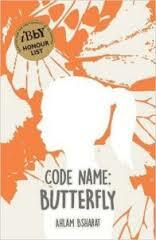 You also are the author of Tilly: A Story of Hope and Resilience (Sononis, 2013). Could you tell us a little about this book? 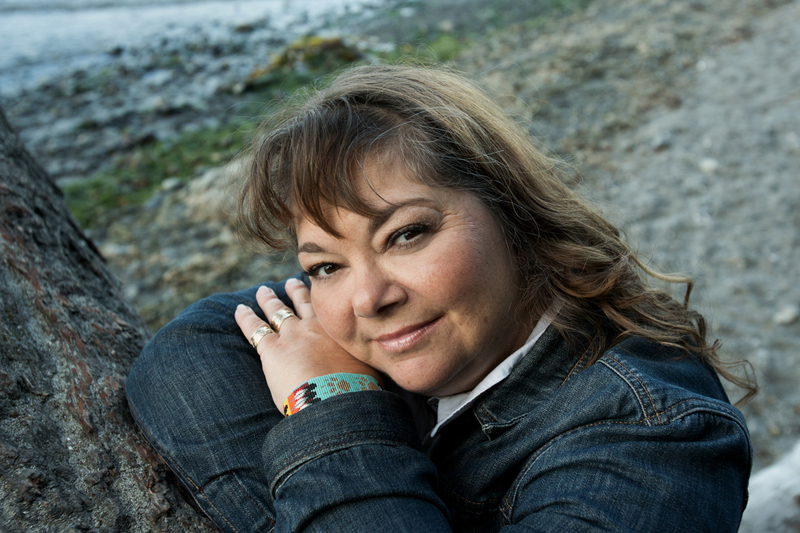 Tilly is loosely based on my life through Tilly's journey and the characters she meets they tell aspects of our history as Indigenous people in Canada. It weaves together some of our traditional teachings, culture and ways of being. It also speaks to my personal journey of alcoholism and recovery and the beautiful relationship Tilly has with her alcohol & drug counsellor, Bea. How have you grown as writer over time? Oh yes, I am still growing...and to be honest, hope to never stop growing. I am not a trained writer, so I need exceptional editing support. One of the aspects where I feel I have grown the most is being willing to let the story flow through me. I used to want to interrupt and pause the story, but now I close my eyes and type away or I share what I'm thinking into my phone. Especially dialogue between characters, that seems to come to me in the place between wakefulness and sleep. Pay attention. Notice your surroundings, the mannerisms of individuals, the ways people speak, how the light looks on the land at different times. I'd also say, put yourself out there: let others read your work, send it in to contests, send it to publishers. And remember, you will get on of three responses. Yes. Not yet. Or I have something even better in mind. How about Native American/First Nations authors? Our people are craving to read our stories and stories that they can see themselves and their lived experiences in. Write them, share them. And if writing them isn't necessarily comfortable, talk them. On most phones, there is the microphone app on email, if you record your story and then send it to yourself by email it will come as text and voila, you have your first draft. I would also remind you of the importance of ceremony when writing. I find it helps ground me and opens me for the story to come through me. Offerings of gratitude help me every single day, not only when I am writing, but every day. I would also say read as much as you can and raise up and talk about those you are reading. 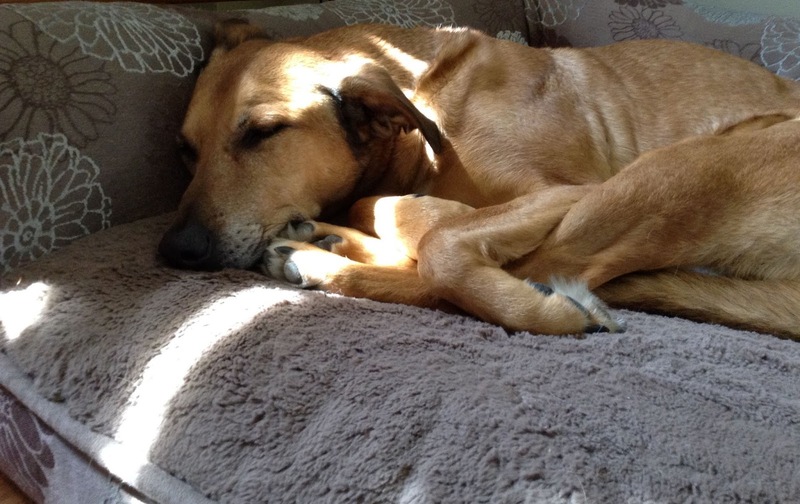 Maria Gianferrari writes both fiction and nonfiction picture books from her sunny, book-lined study in northern Virginia, with her dog Becca as her muse. 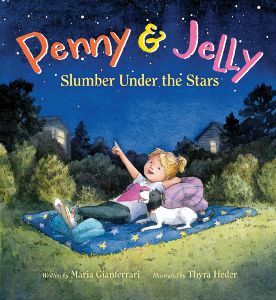 Maria’s debut picture book, Penny & Jelly: The School Show, illustrated by Thyra Heder (2015) led to Penny & Jelly: Slumber Under the Stars (2016)(both HMH Books). 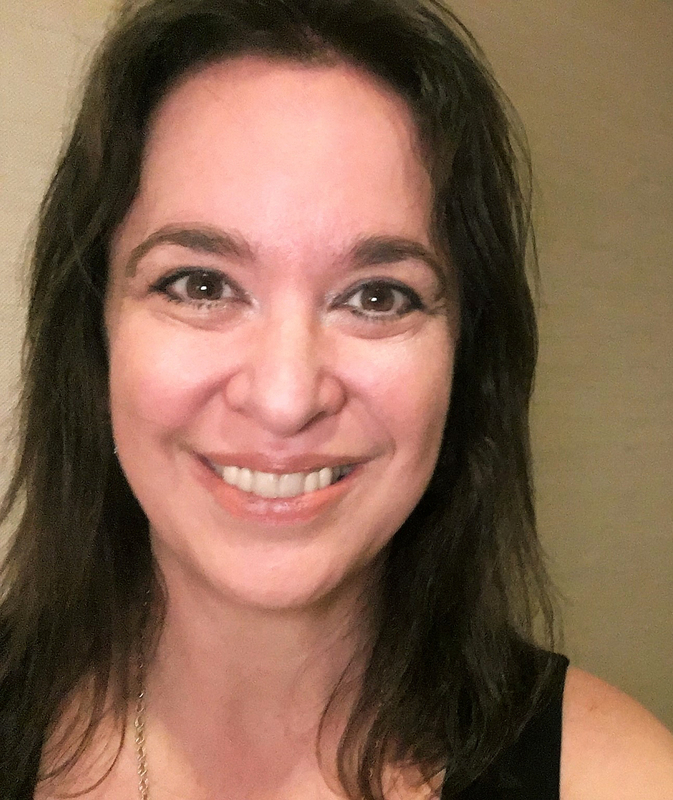 Maria has seven picture books forthcoming from Roaring Brook Press, Aladdin Books for Young Readers, GP Putnam’s Sons and Boyds Mills Press in the coming years. Could you tell us about your writing community--your critique group or partner or other sources of emotional, craft and/or professional support? I am so grateful for my amazing agent, Ammi-Joan Paquette! Where do I begin? I owe my writing career to Joan, for taking a chance on and believing in me. She has been sage guide, a cheerleader and champion of my writing from the get go. She’s made my writing dream come true!! I would not be where I am today without my trusted writing friends and critique partners: Lisa Robinson, Lois Sepahban, Andrea Wang, Abigail Calkins Aguirre and Sheri Dillard. They have been such a wonderful source of support over the years, in good times, and in bad. Yes—it’s kind of like a marriage—that’s how dedicated we are to each other’s work! They’re smart, thoughtful, insightful, well read, hard-working and the best critique partners one could hope for! We have a private website where we share not only our manuscripts, but our opinions on books, ideas, writing inspiration and doubts. I treasure them and wish we lived closer to one another to be able to meet regularly in person. Hugs, CPers! Like many other writers, I’m quite a shy and introverted person. If you’ve seen that classic hamster ball cartoon about introverts, that’s me! Having a book debut is extremely intimidating. I was so lucky to have joined the ranks of Emu’s Debuts, so named for clients and debut authors affiliated with Erin Murphy Literary Agency (EMLA). The Emu’s Debuts blog is a place for sharing thoughts on the craft of writing and illustrating, being debuts, and most importantly, helping launch our books into the world. I have since fledged, but it was so helpful, reassuring and fun to be a part of this community of very talented, kind and generous people. Check out the current flock of Emus. 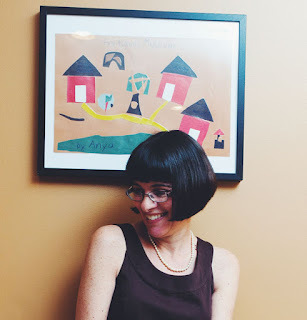 Picture book author extraordinaire, and founder of PiBoIdMo (picture book idea month), Tara has also been a generous supporter, not just of me, but for all the pre and published picture book authors and illustrators out there. Thousands of writers participate and are inspired by guest posts during PiBoIdMo, November’s picture book idea challenge. 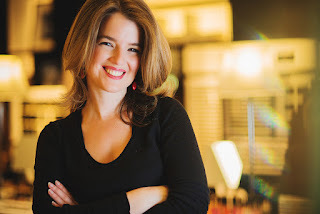 She shares insights on craft, the field of publishing, new books, interviews, giveaways, etc. 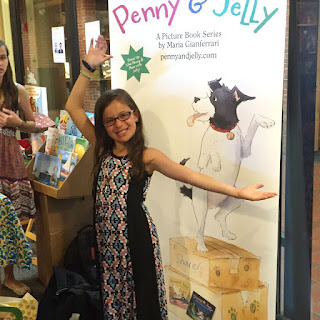 on her popular blog, Writing for Kids (While Raising Them), throughout the year. When the news of the Penny & Jelly sale broke, Tara kindly offered to host me of her blog. Later, she invited to be a contributor for PiBoIdMo, and last year she also participated in my blog tour for Penny & Jelly. Kirsten’s a kidlit marketing guru and owner of Curious City. She was invaluable in sorting through the mire that is promotion. Kirsten’s clever and creative and had so many wonderful ideas for promoting Penny & Jelly in ways that would be most comfortable for an introvert like me. 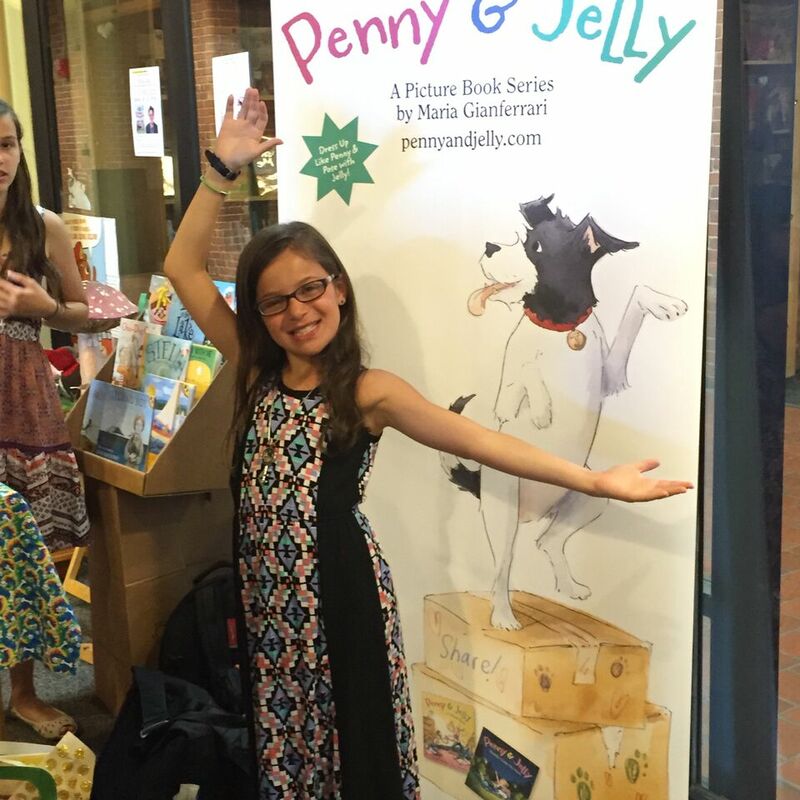 She designed a Jelly banner with original art from illustrator Thyra Heder for use as a photo booth so kids could “be” Penny and pose with Jelly, as well as gorgeous postcards and business cards. I especially love the talent show kit for library and classroom use that Kirsten designed. Please feel free to share and use it. Write what you’re obsessed with. This will help you not only endure the inevitable rejections along the way, but also the winding road of revision. 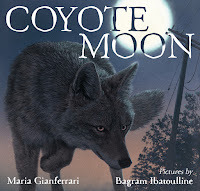 My debut nonfiction book, Coyote Moon, was released this July. It initially began as an article on suburban coyotes for "Highlights." Well, "Highlights" rejected it, but I wasn’t ready to let go of my manuscript. 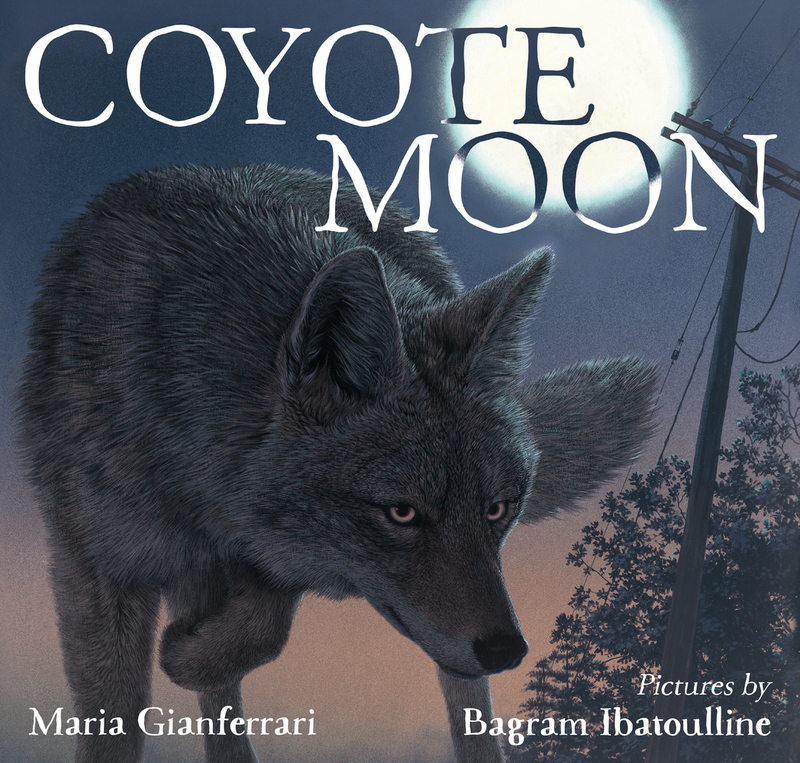 The coyotes kept howling in my head, so it morphed into a poetic picture book. Several revisions later, it won a Letter of Commendation for a Barbara Karlin grant from SCBWI; many more revisions later, it was acquired by Emily Feinberg at Roaring Brook Press. And I am so in love Bagram Ibatoulline’s illustrations. They are absolutely stunning! Then read some more. I once read that before attempting to write one picture book, we should first read 1,000. But don’t just read them, see them as teachers, as mentor texts for your own work. One of the most helpful exercises is to hand-write or type the words of my favorite picture book texts, to feel the rhythm of the and pulse of the story in my fingers, to get under the story’s skin—see its bones or structure and the way the muscles and sinews, rhythm, refrain and repetition, are bound together. Doing this helps us find a story’s heart, its elusive soul and helps us understand our own work. Consider joining founder Carrie Charley Brown’s ReFoReMo, where picture books are studied as mentor texts. Get ready to dig deep! Persevere! Keep swimming! Rejection is at the heart of this journey and it’s not usually a linear journey, it’s more circuitous, with ups and downs along the way. Take it one day, one moment at a time, and celebrate all of your successes, both big and small. And remember, keep improving your craft, and building your connections, you will get there! To find your writing voice, play with different points of view. Change genres. Try out different structural techniques like letters, or a diary format or lists, like I did with Penny & Jelly. Think about the shape of your story. Is it circular? Could it be a journey? Would a question and answer format enhance it? Does it have a refrain? I’m not an illustrator, but you can do the same kinds of things to find your visual voice—switch sketching for sewing, or painting for clay. And most of all, embrace your inner kid and have fun! Connect with your local and online writing community—there are so many valuable resources out there. You’re reading Cynsations, so that’s a great start! If you haven’t already joined SCBWI and found a critique group, that’s a must. As I mentioned above, join Tara Lazar’s PiBoIdMo challenge in November, or Paula Yoo’s NaPiBoWriWee to write a picture book a day, which takes place in May. There’s a plethora of writing groups on Facebook. One I highly recommend is Kidlit411, co-run by Elaine Kieley Kearns and Sylvia Liu. 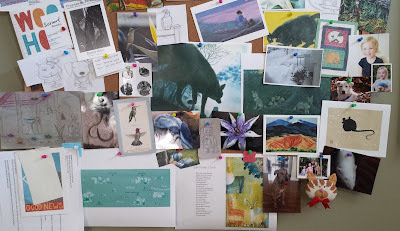 It’s such a wealth of information for authors and illustrators on writing/illustrating craft, on promotion, on submissions for agents and editors, revision—all kinds of things. And to borrow Jane Yolen’s title, above all, Take Joy! This young and funny picture book introduces the soon-to-be star of her school talent show: Penny. Despite her desire to knock everyone's socks off, Penny's having a tough time deciding on what talent she might have. 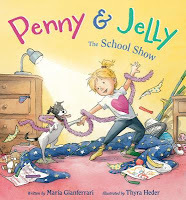 With a little help from her dog, Jelly, Penny tries out various talents—from dancing to unicycling, fashion designing to snake charming—with disastrous results. That is, until she realizes that she and Jelly have a talent to share that's unlike any other. "...upon occasion, our histories are bound by peace and wonder as people of the planet Earth, looking up as we did on one night in the summer of 1969. "In spite of some current rhetoric, very few of us on this soil can claim a separate and sole history. We are a joined people. Let’s keep looking up." Author Lois Duncan died in June while Cynsations was on summer hiatus. Lois Duncan Obituary: Bestselling author of fiction for young adults, including the thriller I Know What You Did Last Summer by Julia Eccleshare from The Guardian. Peek: "She was born Lois Duncan Steinmetz in Philadelphia, and grew up in Sarasota, Florida. Lois wanted to be a writer from childhood, and submitted her first typed manuscript to Ladies’ Home Journal when she was 10." Obituary: Lois Duncan by Shannon Maughan from Publishers Weekly. Peek: "After attending Duke University for a year... She entered her YA project Debutante Hill in Dodd, Mead & Company’s Seventeenth Summer Literary Contest and earned the grand prize: $1000 and a book contract." 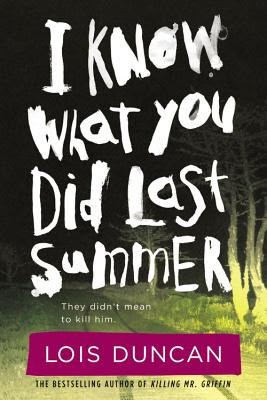 Lois Duncan, 82, Dies; Author Knew What You Did Last Summer by Daniel E. Slotnik from The New York Times. Peek: "Though her books had their share of violence, Ms. Duncan said she was 'utterly horrified' when she saw the  film adaptation of “I Know What You Did Last Summer,” which...turned her novel, about a group of teenagers desperately trying to conceal an accidental killing, into a horror tale in which the same teenagers are systematically dispatched by their hook-wielding victim." Note: To clarify, I heard Lois speak about this at an SCBWI conference. It wasn't the violence per se but rather the way it was trivialized for cheap thrills. Her novel had a strong moral center that was absent from its film adaptation. 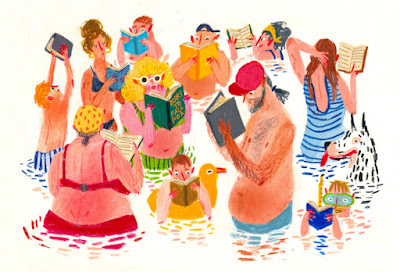 I Know What I Read That Summer by Carmen Maria Machado from The New Yorker. Peek: "Her prose is unfussy and clean. She centered her books on young women, and her writing considers themes that have come to obsess me as an adult: gendered violence, psychological manipulation, the vulnerability of outsiders." 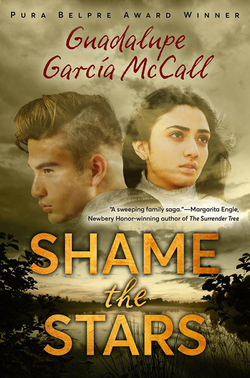 Author Interview: Guadalupe García McCall: Remembering What Has Endured, What Has Been Lost by Justin Barisich from BookPage. Peek: "It takes a lot of courage to let the world see your heart, to lay it down on the ground in front of the enemy and say, 'This is it. This who I am. This is what I’ve got,' and that is what Dulceña does." How to Find and Reach Influencers to Help Promote Your Work by Angela Ackerman from Jane Friedman. Peek: "Because if you truly appreciate what they do, you will naturally want to help them further succeed. And while of course you hope they’ll return the favor, that’s not your endgame. Creating a relationship is." Seven Surprising Facts About Creativity, According to Science by John Paul Titlow from Fast Company. Peek: "In the face of a major loss, our brains often explore new creative outlets as part of the 'rebuilding' process of our lives, especially as our perspectives, priorities, and ways of thinking about things shift around. " Note: the observation about teachers at the end of the post does not apply to me. Ten Tips for Video-Chat School Visits from Christine Kohler. 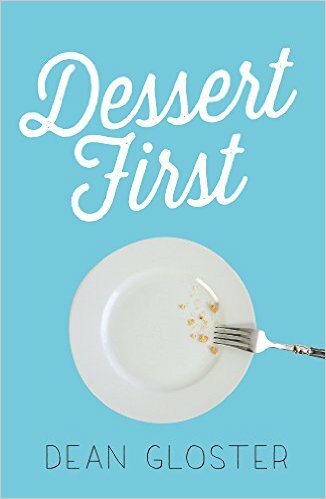 Peek: "Although my stress-level skyrocketed that morning when my PC’s operating system corrupted, I thought other authors might benefit by what I did in pre-planning to ensure 'the show must go on,' and on schedule." Children's Literature as a Vehicle for Peace by Summer Edward from Medium. Peek: "Is social justice an elite weapon to be wielded in the hands of a few acclaimed activists or is it a human imperative to which each individual is called?" Series Beginnings by Mary Kole from Kidlit.com. Peek: "By providing this context but weaving it into the first few chapters of the story, you will be welcoming your existing readers back into the story while simultaneously giving new readers a chance to catch up. All without info-dumping." Interview: Dean Gloster on Dessert First by Adi Rule from VCFA Launchpad. Peek: "...with all the intensity of residency, my constantly emailing documents to myself to print out in the library, and my mostly using my VCFA email address, I actually missed the message from the editor saying they were buying my book...."
No One Gets a Pass When It Comes to Writing Multicultural Books from Grace Lin. Peek: "I get a fair amount of flack for portraying light-skinned Asians or Asians in the stereotypical haircut of heavy bangs." What I Leaned About Publishing an #OwnVoices Book with a Latinx Heroine by Valerie Tejeda from Bustle. 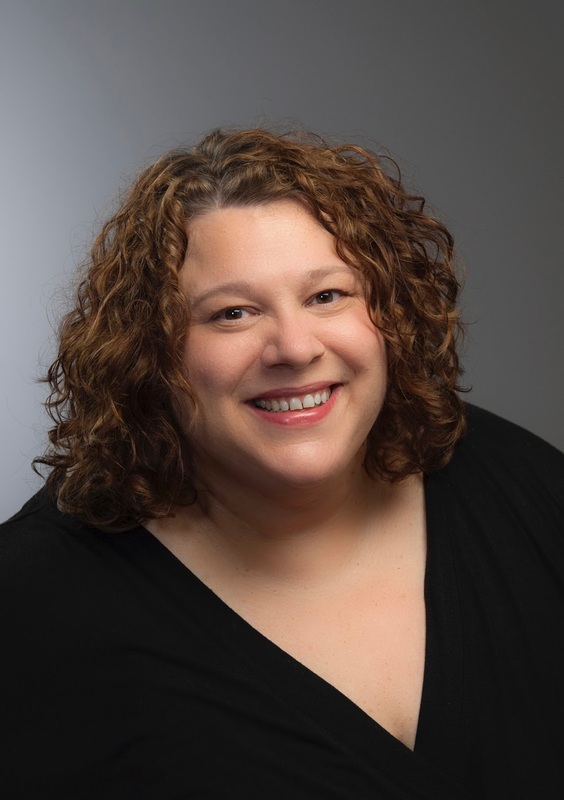 Peek: "I've learned a lot about what it means to be an #OwnVoices author — the good, the bad, the ugly — but here are a few things that have stuck out to me the most..."
Four Ways "Stranger Things" Gets Middle Grade Right by Mary E. Cronin from Project Mayhem. Peek: "Kids are the stars of this show, and middle grade writers can draw much inspiration from it. Here are four ways that the creators of 'Stranger Things' totally nail middle grade...."
Give Your Characters Roots by Dave King from Writer Unboxed. Peek: "Growing up in Mordor gives you a very different outlook on life than growing up in New England." What's In a (Character's) Name? by Olga Kuno from Becca Puglisi from Writers Helping Writers. Peek: "Coming up with just the right name can be daunting. I’d like to share some ideas on how to simplify the process." Winnie The Pooh Makes Friends with a Penguin to Mark Anniversary by Alison Flood from The Guardian. Peek: "Sibley, who was asked to write a new Pooh story to mark this year’s anniversary, said that the photo of the author and his son with the penguin toy came to mind while he was 'pondering what other toys Christopher Robin might have owned but which were never written about'." We Are Still Here: An Interview with Debbie Reese from NCTE. Peek: "I wish that teachers would do all they could to push against that monolithic 'primitive' and 'uncivilized' depiction that is so pervasive and damaging to our youth, but all youth, too, who play and learn alongside our children." Why I Write About the Immigrant Experience by Reyna Grande from CBC Diversity. Peek: "I read and I read, though I’d always felt a void—a yearning, a missing piece that I desperately wanted to find. What I wanted most of all: to not feel invisible." How to Write a Latinx Character & Other Questions by Yamile Saied Méndez from The Che Boricuas= A Puerto Rican + An Argentine + 5 cute kids. Peek: "...this list isn't all inclusive. I just wanted to show all the aspects in which culture affects a person. The ways in which it will affect your character. The reader will notice if the only thing the writer did was slap a Spanish-sounding name and dark skin on a character." Black Girl Magic: Black Girlhood, Imaginations and Activism by Dhonielle Clayton from We Need Diverse Books. Peek: "I hope a new generation of black girls can cling tight to the novels of the ladies below and start to find themselves in interesting and dynamic new media. I know that if I had had even a few of these books and role models, the teenage me wouldn’t have felt so invisible." 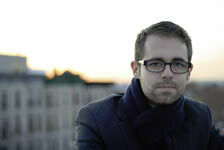 Share Your Voice by Dan Blank from Writer Unboxed. Peek: "A voice without action, is silence. In that silence is the potential where you could be connecting with people who will be moved by your stories." The 2016 Kirkus Prize Finalists: "Winners in the three categories will receive $50,000 each, making the Kirkus Prize one of the richest annual literary awards in the world." Little, Brown Launches New Award for Illustrators by Sally Lodge from Publishers Weekly. Peek: "Caldecott Medalist and five-time Caldecott Honor artist Jerry Pinkney will act as a judge and the inaugural artist mentor for the first annual Little, Brown Emerging Artist Award, recognizing new illustration talent and encouraging the development of high-quality picture books that resonate with readers of diverse backgrounds." Children's Book Author Ann Bausum Wins 2017 Nonfiction Award from the Children's Book Guild of Washington, D.C. Peek: "In recognition of her 14 nonfiction books and the way her work has enriched the minds of our children and the life of our nation, Bausum has been selected to receive the 2017 Children's Book Guild Nonfiction Award. The award is presented annually to an author for a body of work that has contributed significantly to the quality of nonfiction for children." Congratulations to Don Tate, recipient of the Illumine Award for children's literature from the Austin Public Library Friends Foundation! Reminder: The deadline for the Lee & Low New Voices Award is Sept. 30. My heart is heavy this week, Cynsational readers. I was saddened to hear of the death of Dr. Ernie Bond of Salisbury University. He was a tremendous educator, and I am grateful to him for his support of inclusive children's-YA literature. Moreover, the eighteen-year-old daughter of a high school friend and classmate has taken her own life "after a long battle with PTSD, depression and anxiety." Please continue to support teachers, support teens and consider donating to the Lane Marrs Memorial Fund. The Link of the Week: Perceptions of Diversity in Book Reviews by Malinda Lo from Diversity in YA. Peek: "...it is basically common knowledge among minority authors that including more than one minority identity in a book is a huge risk for your career. In the real world, plenty of individuals deal with more than one minority identity at the same time, every day." See also Kick off Bisexual Awareness Week with 12 2016 YA Books by Dahlia Adler from Barnes & Noble. Sixth Grade Is Tough; It Helps to Be "Top Dog"
Preppers. Survivalists. Bex prefers to think of herself as a realist who plans to survive, but regardless of labels, they’re all sure of the same thing: a crisis is coming. And when it does, Bex will be ready. She’s planned exactly what to pack, she knows how to handle a gun, and she’ll drag her family to safety by force if necessary. When her older brother discovers Clearview, a group that takes survival just as seriously as she does, Bex is intrigued. While outsiders might think they’re a delusional doomsday group, she knows there’s nothing crazy about being prepared. But Bex isn’t prepared for Lucy, who is soft and beautiful and hates guns. As her brother’s involvement with some of the members of Clearview grows increasingly alarming and all the pieces of Bex’s life become more difficult to juggle, Bex has to figure out where her loyalties really lie. In a gripping new novel, E. M. Kokie questions our assumptions about family, trust, and what it really takes to survive. Before writing Radical, I had never touched a gun. I had never wanted to touch a gun. But in the early drafts I was struggling to get to the heart of my main character Bex. Then I realized I hadn't really thought about how Bex would feel about guns. It was a blind spot caused by my own discomfort with guns. Once I had that realization I could see all the ways I didn't yet know Bex. Bex wouldn't just shoot or possess guns. She would have spent most of her life shooting them. They would be part of her family tradition, part of her social life, and part of her identity. She would love her guns. She would be proficient. 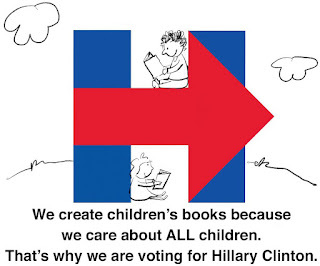 She would be responsible in their care and maintenance. In order to understand Bex, and to write her with any kind of accuracy and credibility, I needed to understand guns. I started with online and print research -- reading about different kinds of guns, popular makes and models, shooting ranges and training programs, and eventually gun laws and the tradition of gun ownership within families and communities. 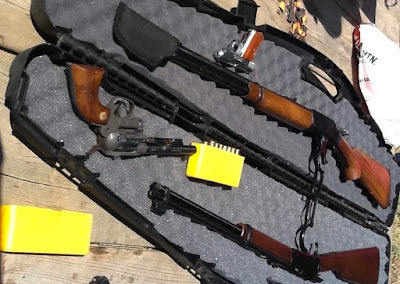 Then I moved on to watching online videos about everything from training techniques and amateur shooting videos, to videos about comparing models, and cleaning and maintaining firearms. I was fascinated by the many videos of girls and women shooting guns, and handling knives, bows and arrows, and other weapons. But reading and video research could only take me so far. I needed to understand the tactile and visceral details of how a gun felt in my hand, the heft, and texture, and kickback. The tang in the air after shooting. The smell and feel of cleaning different models. I needed to have a vocabulary and understanding that gave her character depth and provided context for the plot. But I also needed to get inside of how she would feel, physically and emotionally, about her guns and while she was shooting. For Bex, shooting guns would be about more than fun or competition or even defense. It is part of who she is. 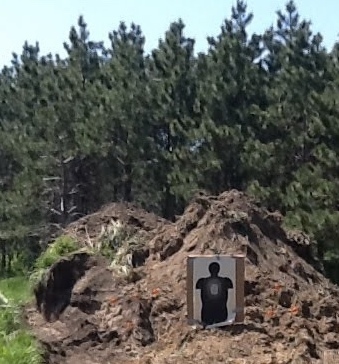 I was lucky to connect with some people who let me shoot their guns on their property, in an outdoor setting with a dirt berm and a pond, much as I pictured Bex and her brother shooting in their woods. We started with a small, light gun that even felt small in my hand, and then worked up to larger and more powerful firearms. Then I got a crash course in cleaning and maintenance, sitting on the side of a porch, much as Bex does in the book. I left with all these sensory details, insights into how shooting could be fun and cause a sense of competition or accomplishment, and bruises in several places. Even the ride out to the shooting site on a homemade cart attached to an ATV unexpectedly informed the setting and context for my story. During the writing process, I also reached out to some firearms experts online to answer questions and to seek input for crafting certain plot elements and scenes. 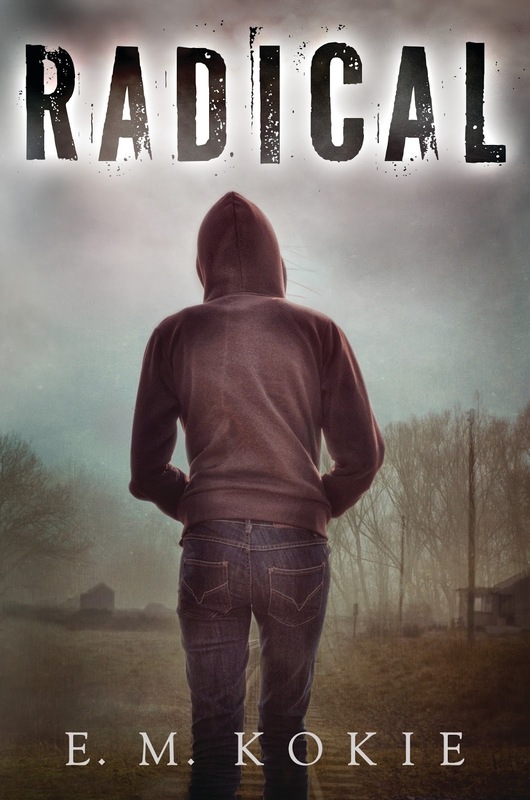 And once Radical was in the last stages of the editorial phase, my publisher hired one of those experts to perform a content read to make sure we got the details right. The research didn't change my mind about my own potential gun ownership, or how I would feel about having a gun in my home. But it did help me better understand Bex and her world, and, hopefully, helped me craft more organic and believable characters and scenes. Roxie Munro & Julie Gribble shooting Ready Set Draw! 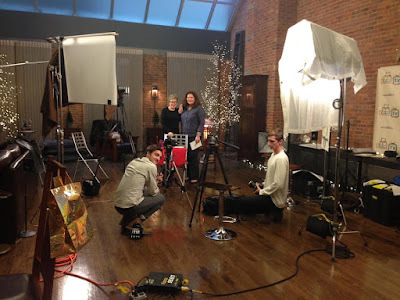 In August of 2014, I traveled from my Long Island City studio to downtown New York City, lugging KIWiStorybook frames and rolled-up giant walk-in picture books, about to be the first author interviewed for the media start-up, KidLit TV. The film crew, lighting technician, makeup artist, sound engineer, and Julie Gribble, founder, and interviewer Rocco Staino, of School Library Journal and the Huffington Post, were ready. Four hours later we had a wrap, edited into a lively eight-minute piece, which aired that November, launching one of the most original concepts in the world of children’s literature in years. That popular interview feature of KidLit TV is called StoryMakers. Every month, Rocco chats with several prominent authors and/or illustrators, like Paul O. Zelinsky, Pat Cummings, Hervé Tullet, Sophie Blackall, Tim Federle, Mo Willems, Rosemary Wells, and Aaron Becker. We get a peek into their creative process - making mistakes (and fixing them! ), creative tricks and habits, childhood inspiration, and exciting news about upcoming projects. Although most of the content is accessible to any literate person, there can be a lot of fun esoterica. For example, librarians may talk about how award committees work or recommend seasonal books; for the 2015 StoryMakers Holiday Special, Maria Russo (New York Times), John Sellers (Publishers Weekly), and John Schumacher (Scholastic) discussed their favorites with Rocco. Other children’s literature movers and shakers are featured, like Lin Oliver and Stephen Mooser, talking about founding SCBWI, and Judy Blume and Neil Gaiman discussing censorship. Aimed specifically at children is the Read Out Loud show where authors engage kids with lively readings from their books. On Ready Set Draw!, illustrators inspire viewers to do art and show details on how to draw characters from their books. Dan Yaccarino taught kids how to make Doug from “Doug Unplugged”; Nick Bruel drew Bad Kitty; I showed children how to draw the owl from “Hatch!” and how to make a maze. Children send in their own drawings based on the videos, and KidLit TV posts them online in their new Fan Art Gallery section, using #ReadySetDraw to share fan art. KidLit Radio is launching podcasts for children, filling an important niche. 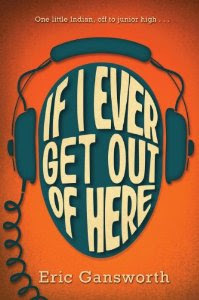 Radio is as popular as ever, and podcasts are gaining ground. Audio is an important medium – many children learn, and are entertained, by listening. Recently Barbara McClintock and Peg + Cat (Candlewick) creators Jennifer Oxley and Billy Aronson did podcasts. 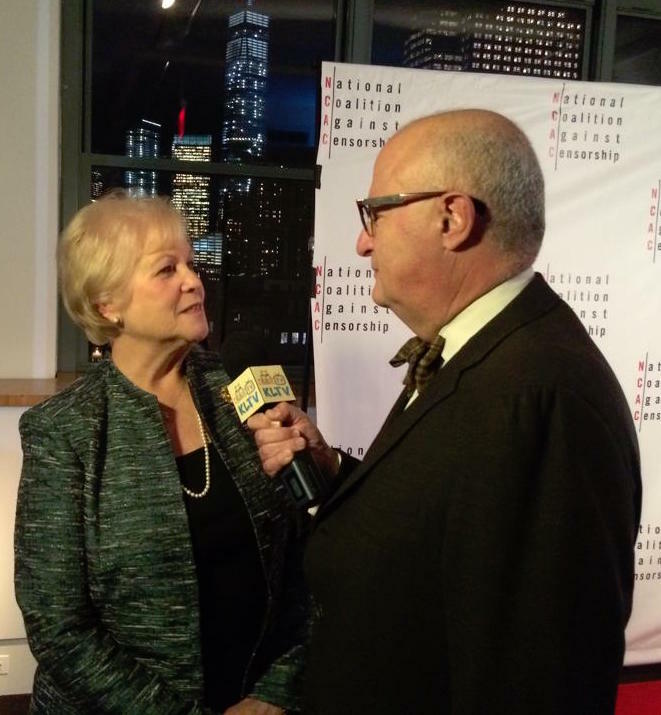 KidLit TV also covers events under their Red Carpet feature, like the Eric Carle Awards, interviewing such luminaries as Jerry Pinkney, Roaring Brook’s Neal Porter, and Hilary Knight. The most recent Field Trip is a six-minute video of the 4th Annual 21st Century Children’s Nonfiction Conference, with uber librarian and reviewer Susannah Richards doing the interviews, including one with Steve Sheinken about his process and his next book. All of this content is found on the main KidLit.TV site; there’s also a robust social media presence and an extensive YouTube channel. It’s the go-to place for kid friendly videos about favorite authors and illustrators, book-based crafts and activities, and to check out content dear to the hearts of children’s literature aficionados. Not to mention how to draw a Great Horned Owl! So how did this come about? 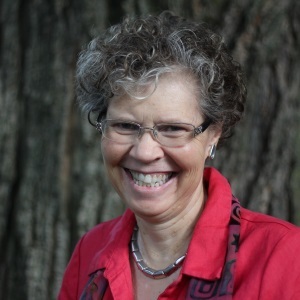 Well, multiple Emmy-award-winner and Stony Brook Children’s Literature Fellow, Julie Gribble, who worked in the television industry for years, founded KidLit TV to create fun new ways to reinforce an appreciation of reading that children will carry with them for the rest of their lives– it’s the first online resource of its kind for kids, parents, librarians and teachers. She’s an author in her own right, with Bubblegum Princess, illustrated by Lori Hanson (NY Media Works, 2013)(based on a true story about Kate Middleton) and another picture book out soon. Julie’s KidLit TV family of teachers, librarians, authors, illustrators, and tech folks are all deeply committed to working together to bring great books to kids. Roxie Munro, Julie Gribble, and Sarah Towle (Time Traveler Tours & Tales) will be doing several programs, including “Promoting your Library Community through Social Media & New Technology: Cutting-Edge Techniques,” at the Texas Library Association Conference in April 2017 in San Antonio. In addition, Julie and Rocco Staino are doing a KidLit TV presentation. 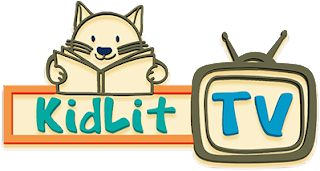 KidLit TV will cover the conference, doing author and librarian interviews, live-streaming events, and attending award presentations. Come visit Booth 2301! And Roxie has contributed a piece to TLA’s Disaster Relief Coloring Book, which will be available at the Conference.